Tim was an integral member of Team McDuffie from the beginning, and I am forever indebted to him and his family. To know Tim was to love Tim. Those who had the pleasure of knowing Tim personally or professionally knew he was a public servant who cared deeply for every neighborhood in Ward 5 and across the District of Columbia. He served the Edgewood and Eckington neighborhoods admirably on the executive board of the Edgewood Civic Association and as an Advisory Neighborhood Commissioner of 5E (formally 5C). Most recently, after working on her campaign, he joined Mayor Muriel Bowser's administration as a staffer in the Deputy Mayor for Economic Development's Office. His passion and dedication to his community made him an unparalleled asset to the District. In fact, even at his young age, Tim had a political acumen that rivaled many seasoned political advisors nationwide. Truly, Tim had a bright future ahead of him. I will deeply miss Tim. God bless him and the entire Clark family. I hope you will join me on Monday, January 26, to celebrate Tim's life. 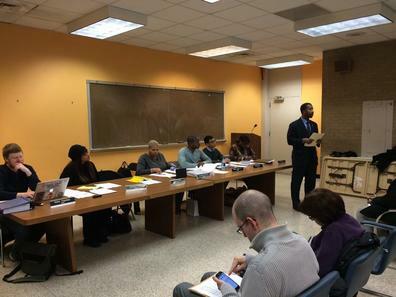 Councilmember McDuffie attended ANC 5C's first meeting of 2015 on Wednesday, January 21. On Thursday, February 5, Councilmember Kenyan R. McDuffie, Chairperson of the Committee on the Judiciary, and Councilmember Jack Evans, Chairperson of the Committee on Finance and Revenue, will hold a joint public oversight roundtable to examine the responses of the Washington Metropolitan Area Transit Authority and public safety agencies to the January 12, incident at L’Enfant Plaza Metro Station. The public oversight roundtable will be held in Room 412 of the John A. Wilson Building, 1350 Pennsylvania Ave., N.W., at 2:00 p.m. The Committees invite the public to testify or to submit written testimony. Anyone wishing to testify at the roundtable should contact Kate Mitchell, Committee Director for the Committee on the Judiciary, at (202) 727-8275, or via e-mail at kmitchell@dccouncil.us, and provide their name, address, telephone number, organizational affiliation, and title (if any) by close of business Monday, February 2. Representatives of organizations will be allowed a maximum of five minutes for oral testimony, and individuals will be allowed a maximum of three minutes. The Chairpersons reserve the right to modify the time allocations afforded to witnesses in order to permit all witnesses to testify. Witnesses should bring ten copies of their written testimony and, if possible, also submit a copy of their testimony electronically to kmitchell@dccouncil.us. If you are unable to testify at the hearing, written statements will be made part of the official record. Copies of written statements should be submitted either to the Committee on the Judiciary or to Nyasha Smith, Secretary to the Council, 1350 Pennsylvania Avenue, N.W., Suite 5, Washington, D.C. 20004. The record will close at the end of the business day on Tuesday, February 10. On Tuesday, January 20, 2015, the Council held an organizational meeting for the Committee of the Whole (“COW”) to approve the COW rules and staff appointment resolutions. Councilmember McDuffie voted in favor of the resolutions, and additionally had the opportunity to introduce several important pieces of legislation which are detailed below. An extremely important measure in ensuring fairness in schools, the “Title IX Athletic Equity Act of 2015” will create more transparency and equity in athletic programming. The bill will require elementary, middle and high schools to submit annually data to the Mayor regarding athletic participation, staffing, funding, expenditures, scheduling, competition success, academic supports, and facilities’ conditions. The bill will also require the Mayor to develop a strategic plan every five years to close the gap between boys’ and girls’ participation in athletics. Currently, the fines for drivers who fail to pull to the curb, or yield the right-of-way to an emergency vehicle, are only published in the District of Columbia Municipal Regulations. The “Failure to Yield for Emergency Vehicles Amendment Act of 2015” will codify the infractions in the Code of the District of Columbia. The bill will not only encourage cautious driving practices by bringing more visibility to the need to pull over for emergency vehicles, but will also align the District of Columbia with virtually every other jurisdiction in the United States. The “Injured Worker Fair Pay Amendment Act of 2015” will correct an injustice being suffered by some of our District government employees. Currently, workers who are receiving workers compensation for injuries suffered through their employment do not receive the same workforce-wide raises that their non-injured counterparts do. For example, at the beginning of this fiscal year when government workers received a 3% pay increase, those workers who were receiving workers compensation did not receive the same. This bill will correct that inequity by allowing all of the District government’s employees to be eligible for workforce wide raises, regardless of whether they are currently injured. Introduced along with the author of the bill, Councilmember Charles Allen, the “Books from Birth Establishment Amendment Act of 2015” will establish a new program to mail a book, once a month, to any child up to the age of 5. The purpose of the bill is to engage children in reading during early childhood so that we can close the achievement gap. On Friday, January 16, DC Water provided an update to its current job listings. To see the full listing of jobs, please visit DC Water's website at https://www.dcwater.com/employment/water_works.cfm or call 202-787-2304. 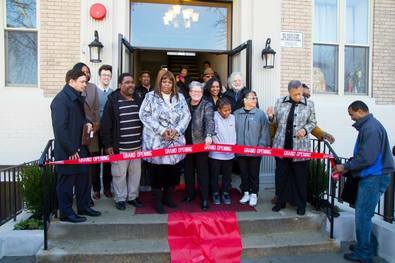 On Wednesday, January 22, Councilmember McDuffie joined the Department of Housing and Community Development's (DHCD) Director Polly Donaldson, Georgetown University Law Center's Dean William Treanor, affordable housing advocates, and residents for the Grand Re-Opening of the Sierra Cooperative. The Sierra Cooperative is a 20-unit affordable housing building that has been fully renovated in Ward 5's Eckington neighborhood. Prior to the renovations, the conditions in which the residents lived were deplorable—a collapsed roof, mold and uninhabitable units throughout the building, as well as squatters living in the basement. After Sierra received funds from DHCD and Local Initiatives Support Corporation, the building was fully rehabilitated. Georgetown Law’s Harrison Institute provided development consulting and legal counsel as well. The District Department of Transportation (DDOT), Arlington County, City of Alexandria and Montgomery County—the jurisdictions that own Capital Bikeshare—will host an Open House on Wednesday, January 28. Representatives will present proposed fare increases, review system highlights and performance, solicit feedback from riders and discuss other issues related to the growth and development of the region’s most innovative transportation network. If you are unable to attend, please join DDOT on Twitter during the event, as the agency live-tweets using the hashtag #CaBiOpenHouse. You can also provide comments on the proposed price increase by emailing pricing@capitalbikeshare.com. 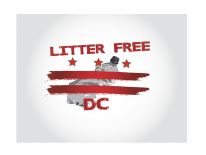 Litter Free DC is a new program sponsored by the Department of Public Works (DPW) to eliminate litter from our streets. Why is DPW starting Litter Free DC? Litter is ugly. Litter attracts rats. Litter lowers property values and makes neighborhoods unattractive. Litter is expensive to remove. DPW spends about $19 million a year to keep our streets and alleys clean. And that money can be put to better use. DPW is engaging high school and middle school youth because their parents want to know what they are thinking and their younger siblings want to be like them. Litter thrown from trucks and cars can injure, even kill, as other motorists swerve to avoid it. A Litter Free DC is a safer DC. We can have a Litter Free DC! Use any of the 4,800 street litter cans for your litter, NOT your household trash! Put household trash in your trash can or building’s dumpster. A Litter Free DC starts with you! Contact DPW to arrange a school visit or community meeting presentation. Call (202) 673-6833 or email Linda Grant at linda.grant@dc.gov. Please join Councilmember McDuffie at 10:30 AM on Saturday, January 24, for the ribbon cutting ceremony of Good Food Markets, located at 2006 Rhode Island Avenue NE. The ceremony will be followed by an all-day celebration with samples, in-store events and music as we welcome the newest retailer to Rhode Island Avenue. 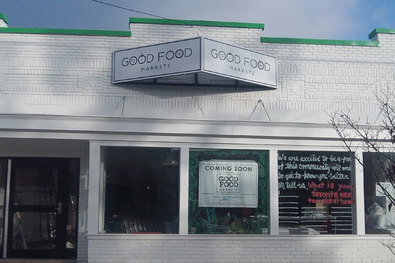 Good Food Markets is a community grocery store in Ward 5's Woodridge neighborhood that focuses on providing the neighborhood with fresh, high-quality produce, essential groceries and healthy, delicious grab-and-go meals all at affordable prices. For more information, please visit http://www.kenyanmcduffie.com or contact our office at (202) 724-8028. 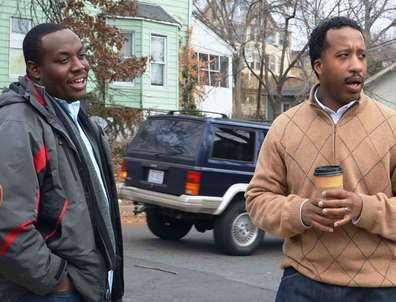 Follow Councilmember McDuffie at twitter.com/CM_McDuffie and/or facebook.com/KenyanRMcDuffie. Update your subscriptions, modify your e-mail address, or stop subscriptions at any time on your Subscriber Preferences Page. You will need to use your email address to log in. If you have questions or problems with the subscription service, please contact subscriberhelp.govdelivery.com.